Since the opening of the first Disney park on July 17th 1955 they have had a wide range of rides and attractions that are loved by people of all ages. Some of the most iconic theme park rides and attractions are those from a Disney park. These iconic rides and attractions include: the parade, the teacup ride, the Tower of Terror (rest in peace - you are missed) and the Haunted Mansion. Not to mention the brilliant character actors (who play all your favourites like Mickey, Minnie, Goofy, Donald and Pluto as well as many others). Bob Chapek. 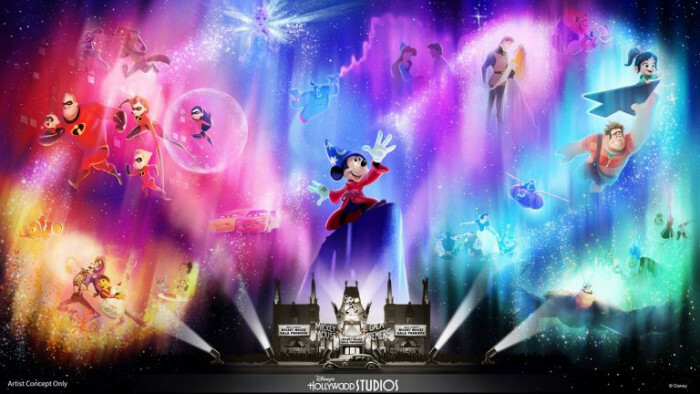 Chairman of Parks, Experiences and Consumer Products, announced at D23 that a new show would be coming to Disney’s Hollywood Studios in May 2019 called 'Wonderful World of Animation'. The opening date for the show is May 1st, the 30th anniversary of Disney’s Hollywood Studios. Representatives from Disney had the following to say about the new show. The park will also see the addition of 'Lightning McQueen’s Racing Academy', 'Party with Pixar Pals', 'Mickey & Minnie’s Runaway Railway' and 'Star Wars: Galaxy’s Edge' (which will contain two new attractions, 'Millennium Falcon: Smugglers Run' and 'Star Wars: Rise of the Resistance').